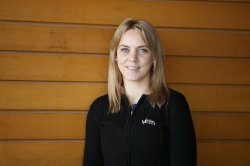 Growing up on a sheep & beef farm in Northland was a great start to my career in the veterinary industry, I have worked with all species here in NZ and the U.K over the last 20 years which has provided me with a good insight into the ever-changing needs of the veterinary practice and our clients' needs. My huge passion outside of work is my horse and hunting with the local Hunt Clubs. 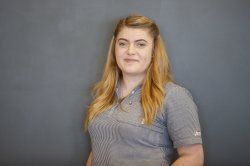 Amiee joined our Feilding reception team in June 2018. Being a diploma qualified vet nurse who has also studied 2 years of Zoology at Massey University, she has a wealth of knowledge for our companion and production animal sides of the business. Amiee has a special interest in laboratory work and is passionate about offering an excellent standard of in-house laboratory testing services for our clients. I originally started in 1995 as a Receptionist for what was Manawatu Vet Services. My role has varied over the years but has always involved some form of Customer Service. My current role involves answering incoming calls, managing the Production Animal Diary, and being Personal Assistant to our Sheep and Beef Consulting Vet Trevor Cook. I enjoy the variety that working at a large busy Vet Clinic brings and the company of the great team I work with. 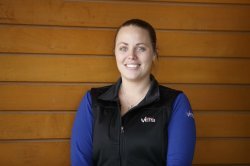 Daina grew up in Sanson, relief milking on a dairy farm as a teenager led onto working in the dairy industry full time as well as training as an AI technician. After taking time out to have a family, Daina started her career in the veterinary industry. Daina joined our business support team in Feilding in October 2017. As you can imagine, she has a natural leaning towards the production animal side of the business. When she isn't in the clinic, she can be found on farm helping out vets with reproduction work and other seasonal jobs that arise. Having worked in the veterinary industry since 2004, Diane has a wealth of knowledge to share. Living on a lifestyle block with horses, sheep, chooks, cats and canaries means Diane has the experience to help out with plenty of hands-on advice for our clients. Rachel grew up on a sheep and beef in the Turkina Valley, she's a mother of two horse mad girls so the three of them spend their spare time out and about at pony club and local shows. Living on a lifestyle block allows Rachel to rear calves and the odd lamb for pet day. 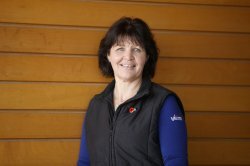 Sarah hails from a sheep and beef background and has a Diploma in Veterinary Nursing which means she has a good understanding of farmers and Pet owner's needs. Sarah is one of our mainstays in our call centre involved in the organisation of the Production vet's diaries as well as dealing with all other aspects of daily vet practice life. 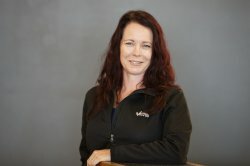 Vanessa grew up on a Dairy farm in the Manawatu, which meant Vanessa naturally progressed into a career in Vet Nursing, qualifying with Otago Polytechnic. 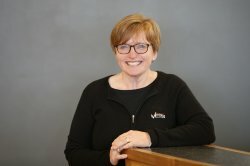 Vanessa has gained a great deal of experience in the veterinary world over the last 15 years. Her passions outside of work are western riding, running a lifestyle block and most importantly being a Mum.